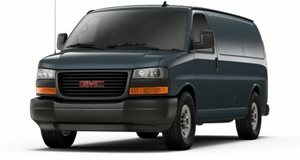 With just one roof height and two wheelbases, cargo capacity in the GMC Savana is perhaps lacking. Power comes from a choice of three engines, a 285hp 4.8-liter V8, a 342hp FlexFuel 6.0-liter V8, and the frugal choice, a 2.8-liter turbo-diesel with 181hp. Drive is sent to the rear wheels exclusively through a 6-speed automatic gearbox. Available features include power driver’s seat adjustment, IntelliLink infotainment, and a leather wrapped steering wheel. Safety features include ABS brakes, with optional rear-view camera and rear park sensors.